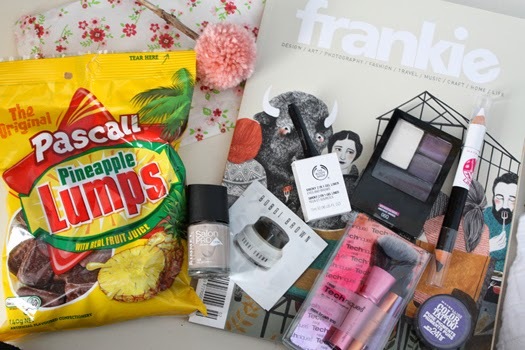 This is an awesome giveaway - all the beauty goodies, a magazine AND pineapple lumps - what more could I possibly want?!?! I love the new look! And I'd love to read frankie, but it's ridiculously expensive over here in the US! Like more than $100 a year! Loving the new layout - and great giveaway! Those RT minis are just too cute. What a fab giveaway! Those mini Real Technique brushes would be amazing to have! I've loved the new template. Your new template is great! And I've never heard of those pineapple things, interesting! Your new template looks fab - and so do the prizes! I saw chocolate and entered, now I'm looking at the rest of the giveaway and there's some really awesome stuff!